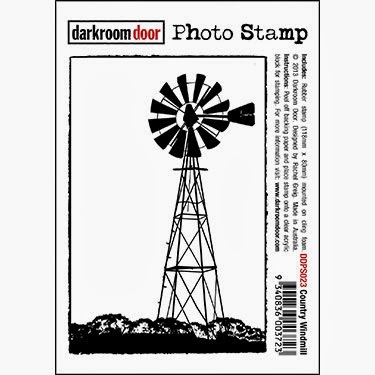 Hi, Connie here with a Christmas card using the Windmill Photo Stamp by Darkroom Door. I put a Texas Christmas swing on it~hope you like. I used the brown, green and blue shades. The tag is stuck in a small envelope and I began to build around that. I also used the Montage~Dear Santa by Darkroom Door. The sentiment is from the Stitched Christmas set. This is so you. The design and the windmill. I love it. 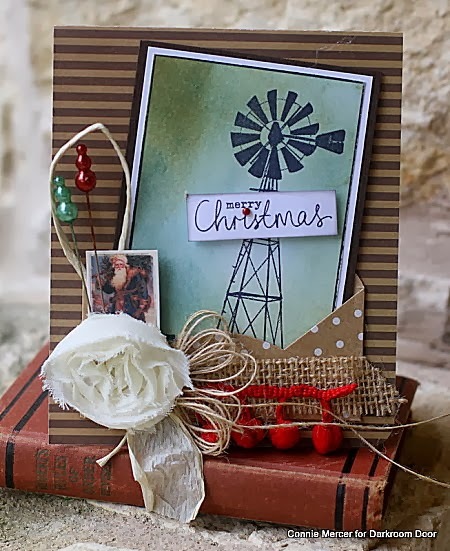 This windmill is a great personal touch for a Christmas card. Very good idea. Wowwwwwwww! This is gorgeous! 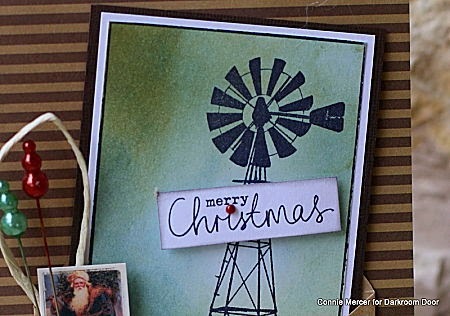 LOVING that windmill and the burlap!!!! This is perfect. I love all the textures!!! Love the windmill and the color scheme! Very nice! Connie, I'm dreading putting together my Christmas cards but will start soon! wow really... this is amazing.. that image is awesome.. I love a Texas style Christmas! Fabulous! Love this design and all of the wonderful goodies and layering, Connie!